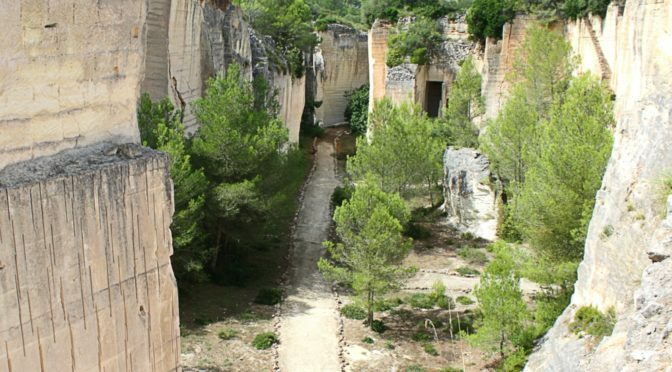 This Sunday, 25 February, we have organised a public excursion along the Barranc des Rellotge and the quarries of Santa Ponsa with the idea of learning about the plants living there. The Barranc des Rellotge is a section at the top end of a gulley that finishes in Cala en Porter. The situation means that it has a large environmental diversity and, therefore, a wealth of different flowers. The meeting point will be at 9.00 in Alaior in the car park near the roundabout on the Son Bou road. It is expected to finish at 13.30. The excursion is open to all, it is free and there is no need to reserve a place. It is advisable to wear good walking shoes though it is not a difficult walk.